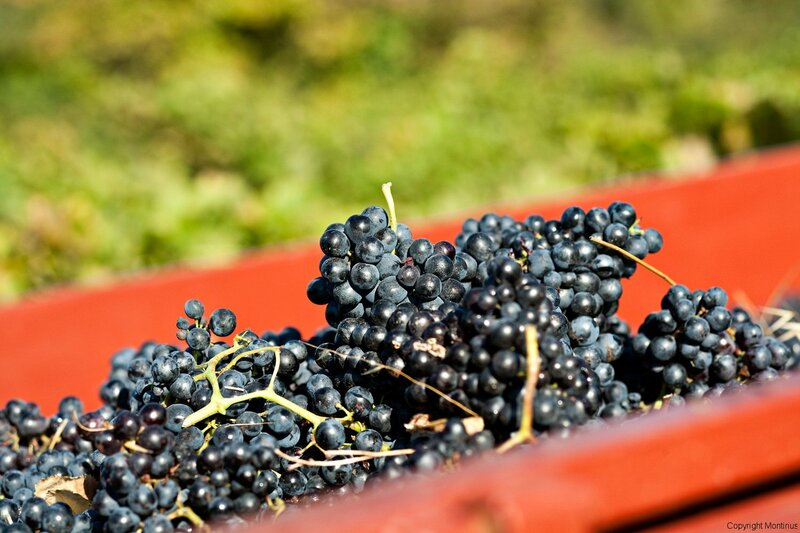 To make good wine, it is necessary to harvest grapes during their phenolic maturity. From the beginning of September, we observe the acidity, the PH. and the sugar content of the grapes. 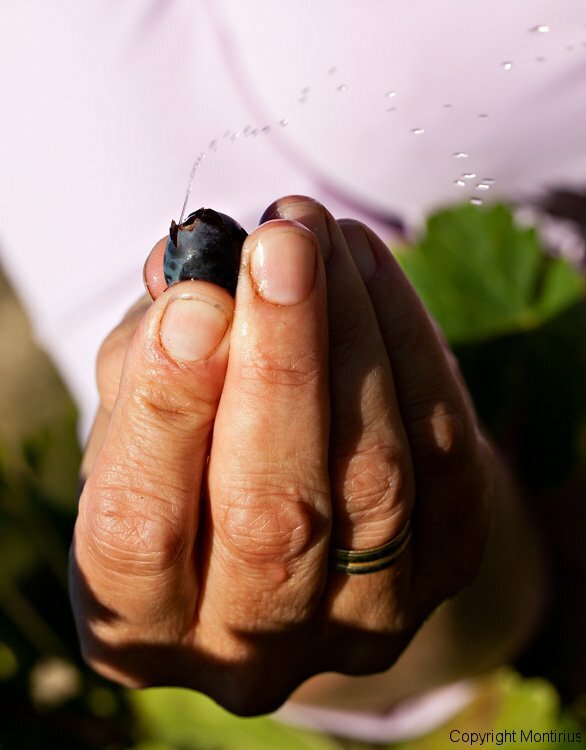 It is the tasting of the berry which is the deciding factor of whether to start picking or not. We survey our parcels each day during the harvest, tasting the grapes of 38 parcels, so as to follow their maturity with precision. The harvest is done manually, by 24 people of whom 18 complement our annual team. 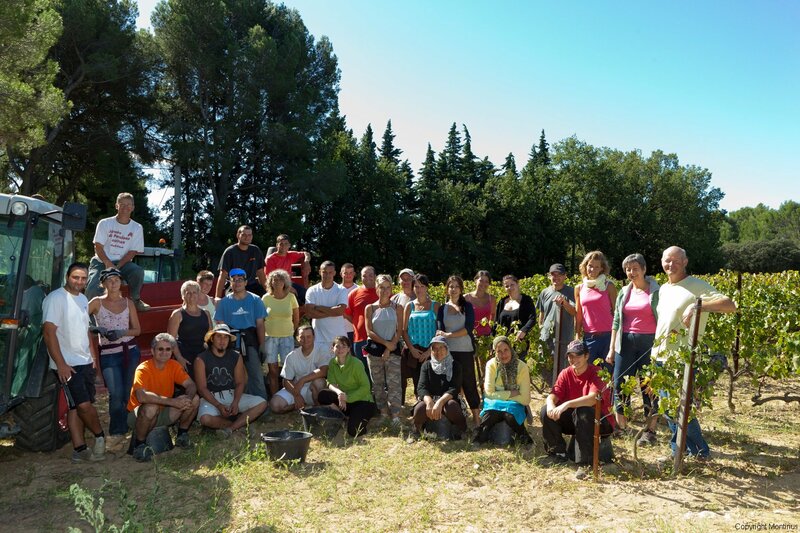 Each one is chosen for his/her dynamism, sense of teamwork, capacity to adapt to the rhythm of the maturing grapes, love of picking good fruit while being sensitive to our Bio-Dynamic methods of working. 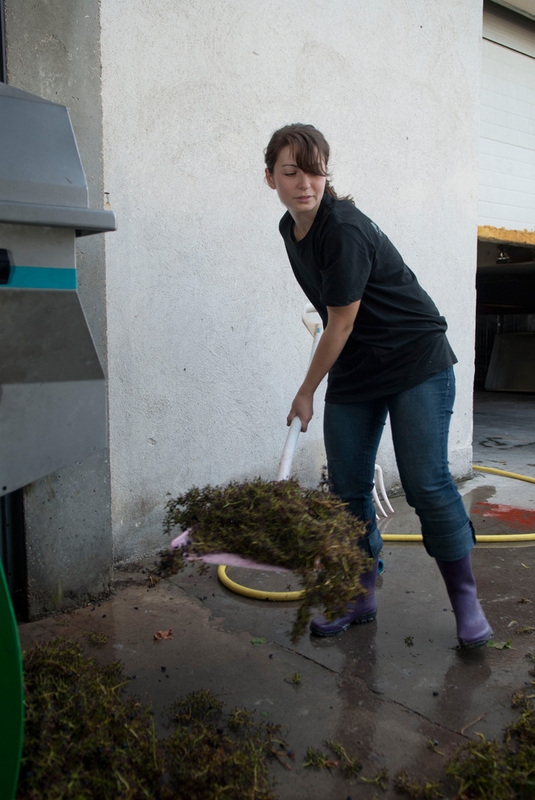 We fill the vats with the parts of the grape we like to eat, that is to say the pulp, the skin and the pips. 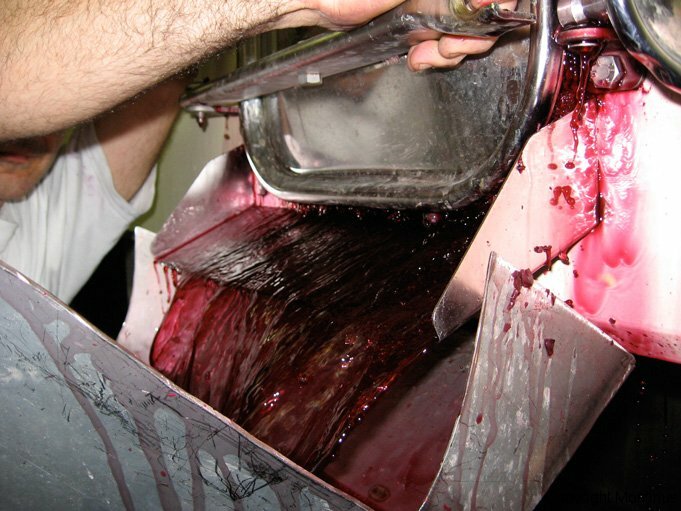 It is for this reason we separate totally the grape from the stems during winemaking. 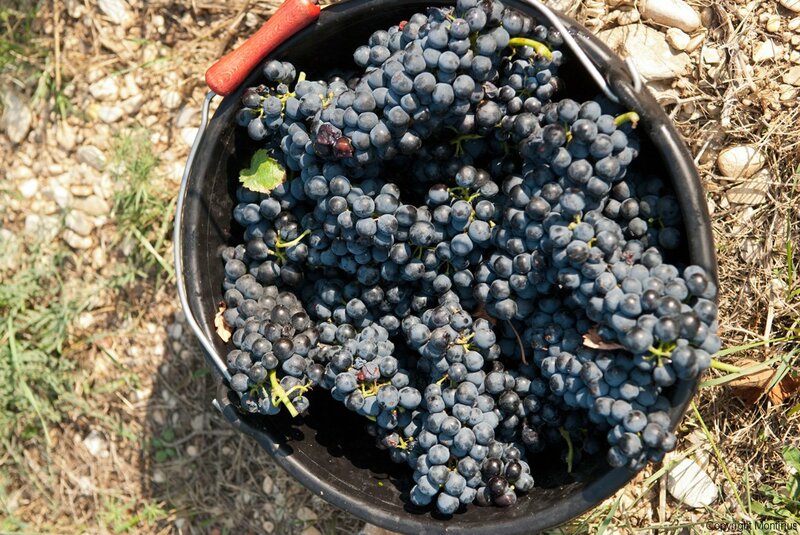 Since 2002, we have shown that the southern Rhone valley wines can express freshness, elegance, and finesse while remaining rich and structured. 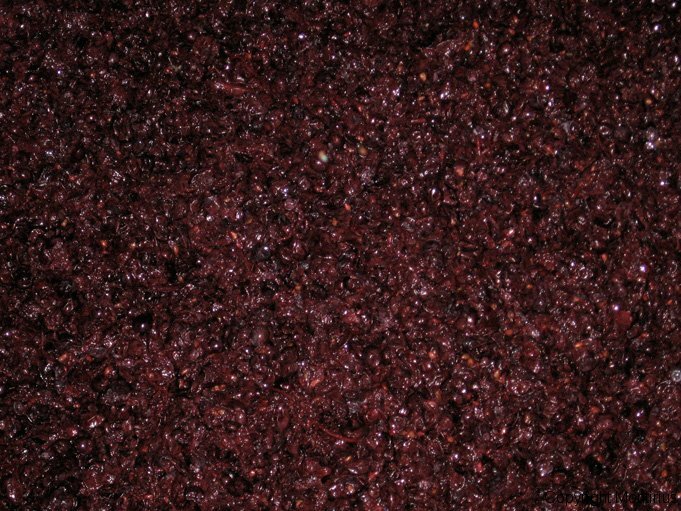 For the red wines, it occurs in two stages; alcoholic fermentation and malolactic fermentation. 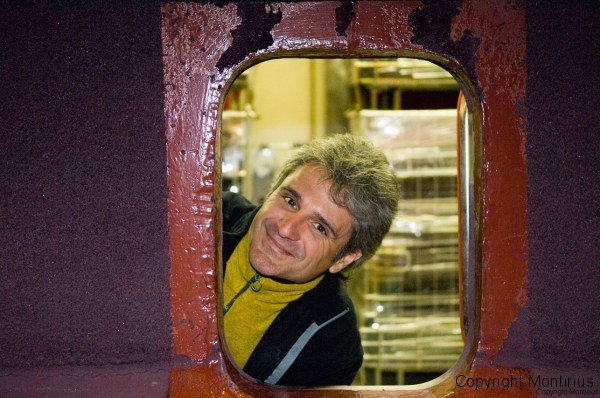 For the white wines, there is just alcoholic fermentation after direct pressing. 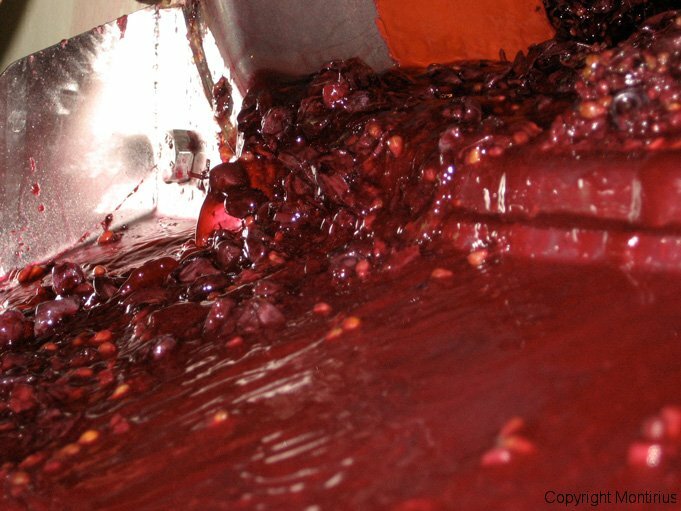 That is to say that alcoholic fermentation occurs without the grape skins. 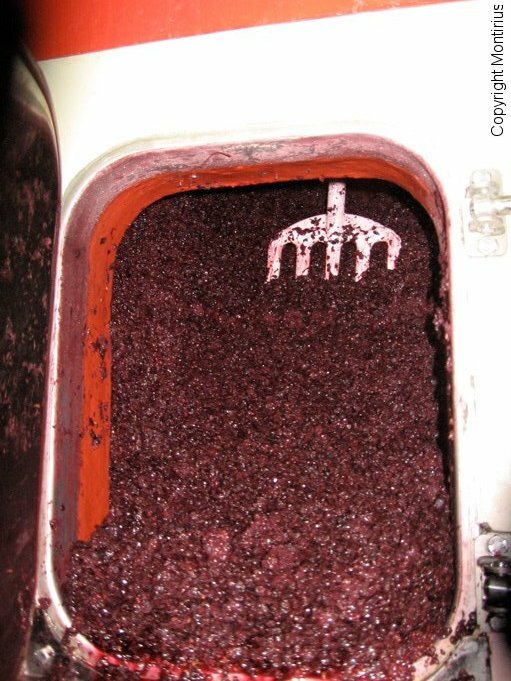 Alcoholic fermentation occurs with only the native yeasts found on the skin of the grapes giving the authentic taste of the land. 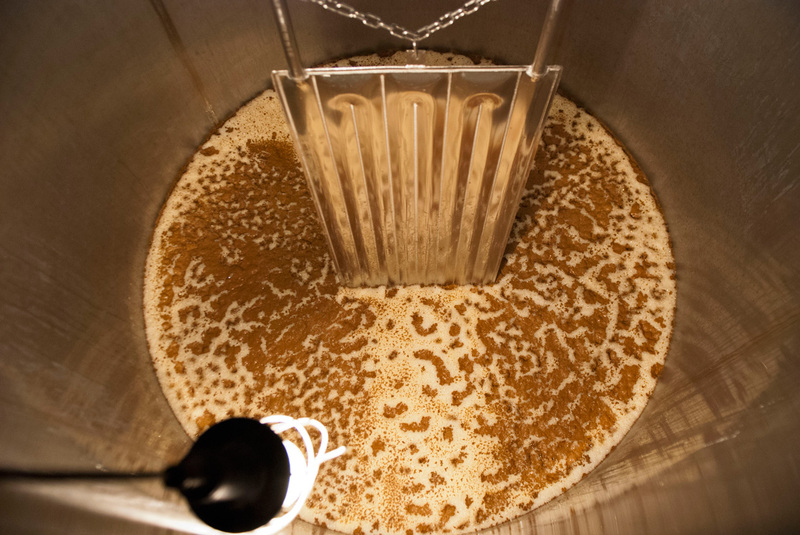 The length of alcoholic fermentation depends on what the content each individual vat wants to give us. We provide the best means for this to happen, by having the right capacity in the number of vats, and being able to bring in the entire 58 hectares without having to de-vat is an important advantage. 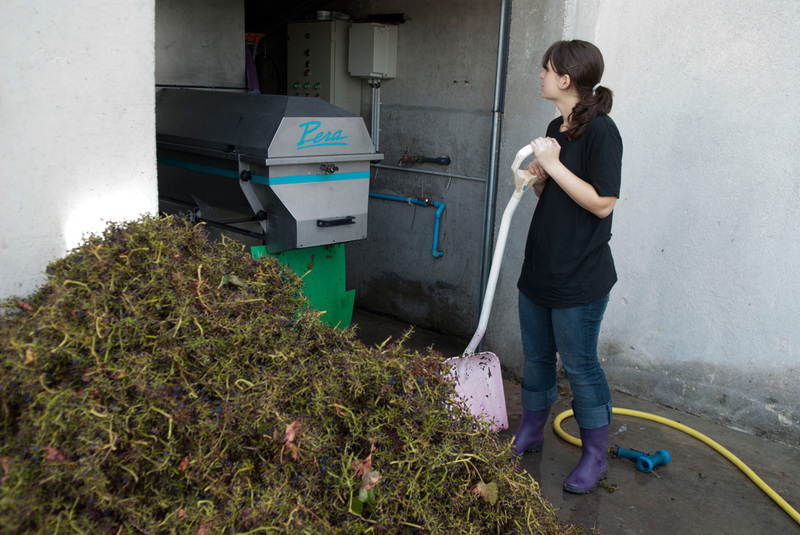 In this way, the grapes come into the winery in perfect rhythm with their maturity and the de-vatting is done only when they have given of their best. 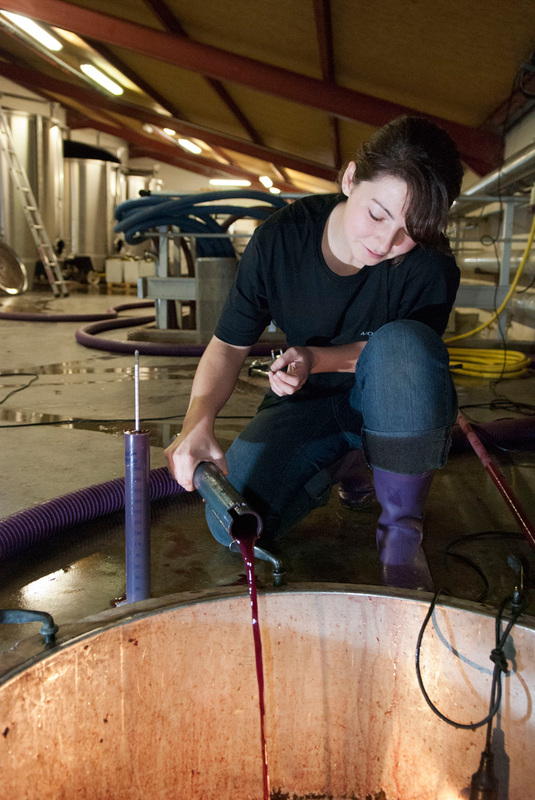 De-vatting marks the end of alcoholic fermentation. It means that we separate the marc from the wine. It is the end of the contact between liquids and solids. When do we decide to de-vat? The theory is that when sugars are transformed into alcohol, we have wine. 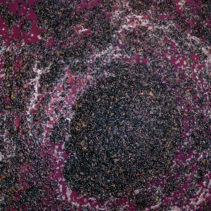 However, it is our opinion that at this stage of the process, the balance between tannins and alcohol is not at its best; the wine is more alcoholic than tannic. Given that we deliberately discontinued the use of barrels since 2002, it is the infusion between the marc and the wine which gives our wines the balance we seek in our wines. 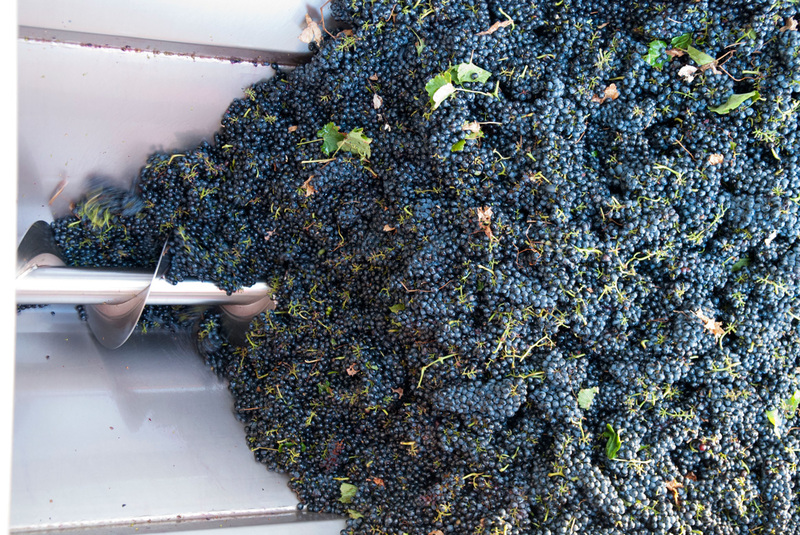 We call this ‘the birth of wine’ and you are invited to come to experience this with us. Then comes the malolactic fermentation. 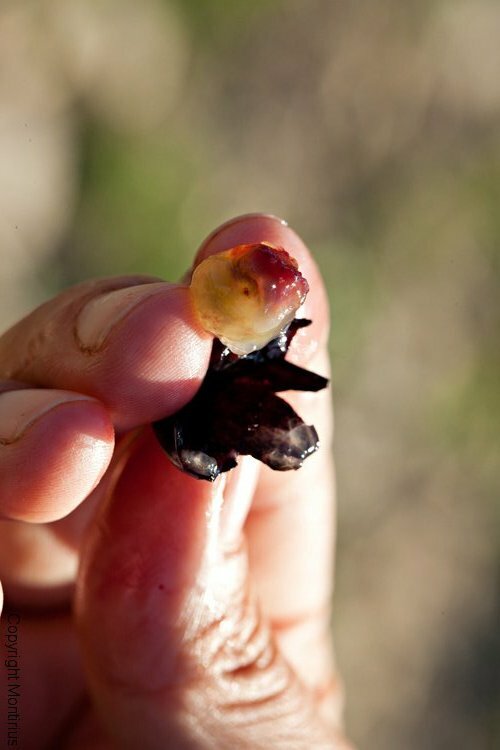 It also starts naturally with the natural native malolactic bacteria in the raisin skins. We never know in advance when this will start; generally it starts in the weeks just after the alcoholic fermentation but sometimes only in the spring. 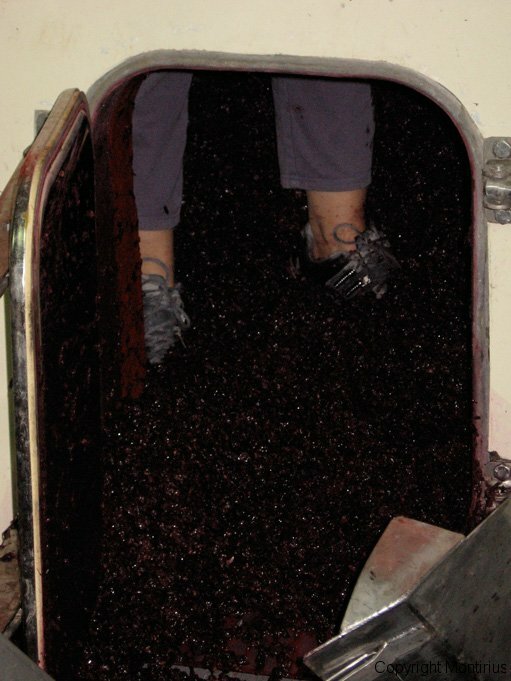 As with the winemaking, the maturing is done in cement vats for each blend. 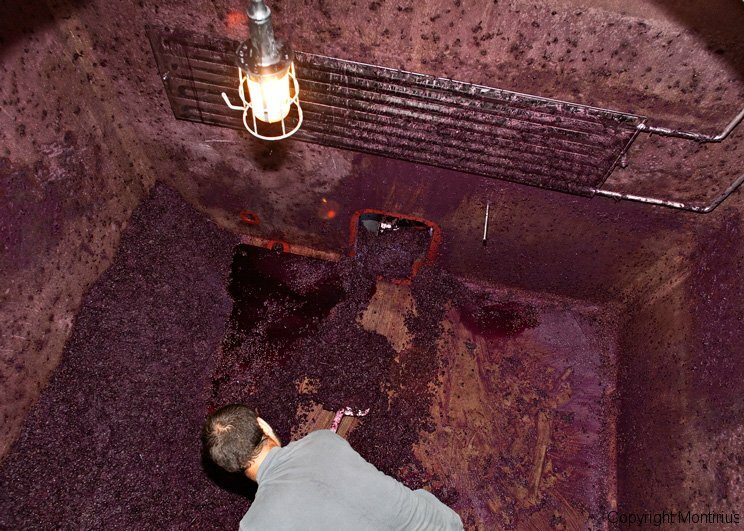 Depending on the wine and its complexity, it will stay in the vats for two winters. 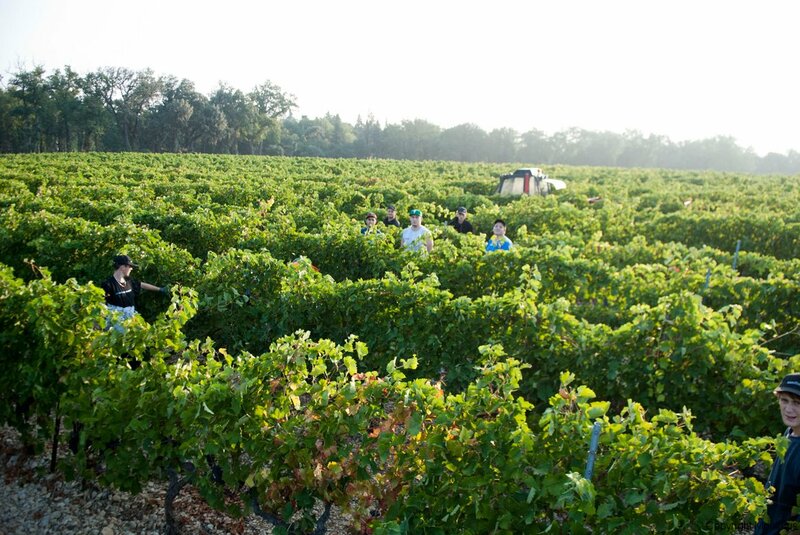 We obtain good natural stable wine in this way. 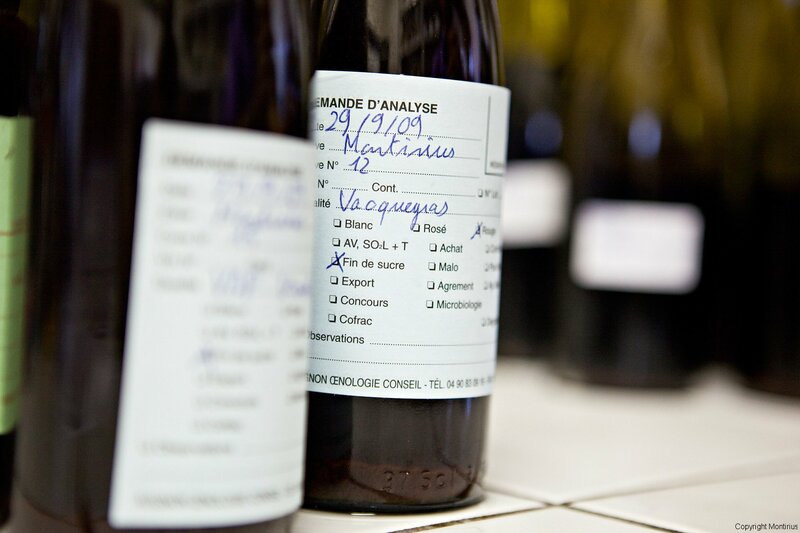 During this time, the wine in each vat is tasted every 6 weeks approximately, so as to follow how it evolves and to identify the optimal time to bottle it. 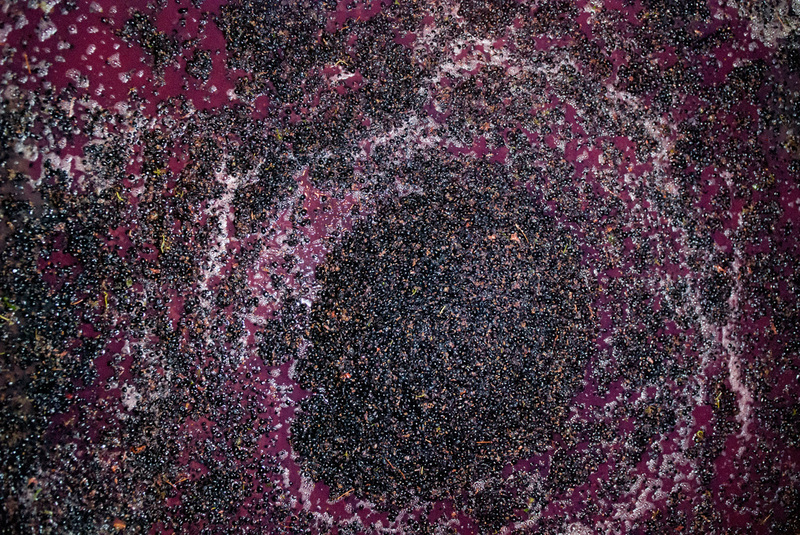 The bottling dates are decided relative to the Maria Thun lunar calendar, and are normally done on a fruit day or a storm day. We should keep in mind that wine is an extension of fruit (the grape). It seems therefore important to give once again the pulse of a fruit day in the bottling process. 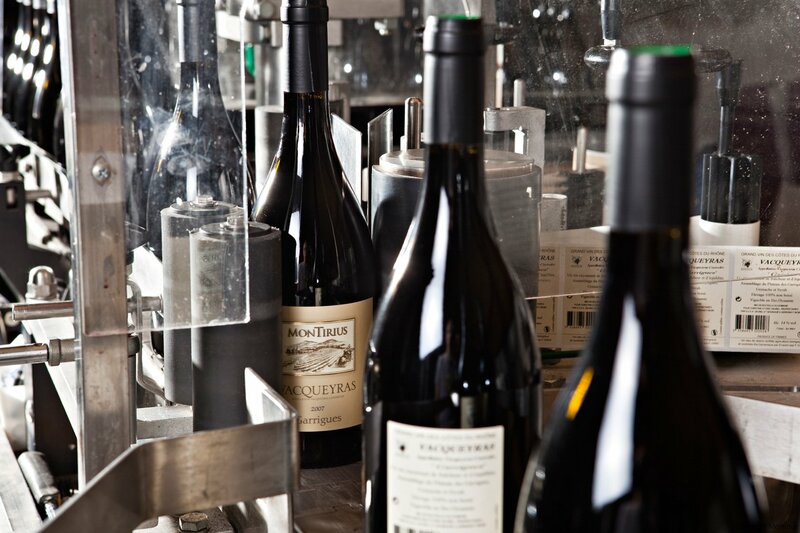 The wine is prepared to be bottled by bringing the temperature up to 20°C. 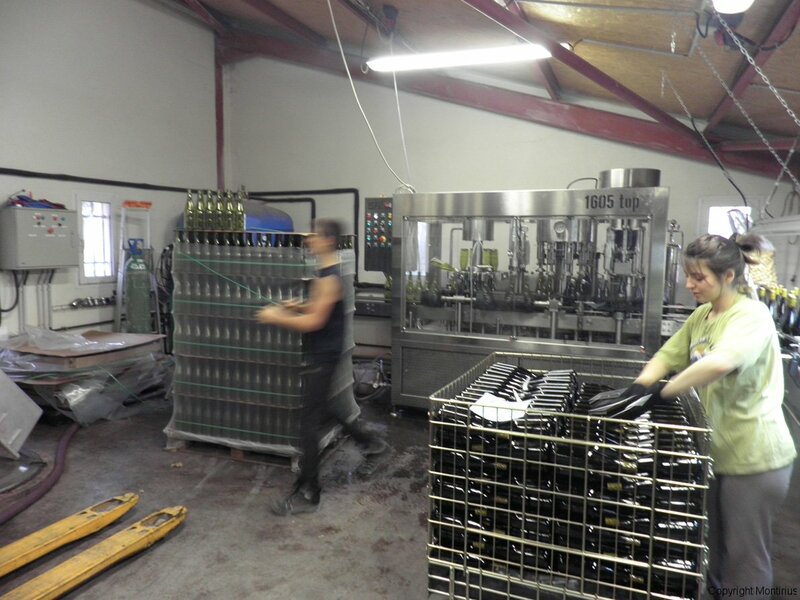 It is the ideal temperature at which to bottle wine and also the ideal temperature for the machine and the empty bottles waiting to be filled. It is a step which may take 5 days or 15 days; we remain patient for the best time to begin. We validate again the taste of the wine at 20°C. 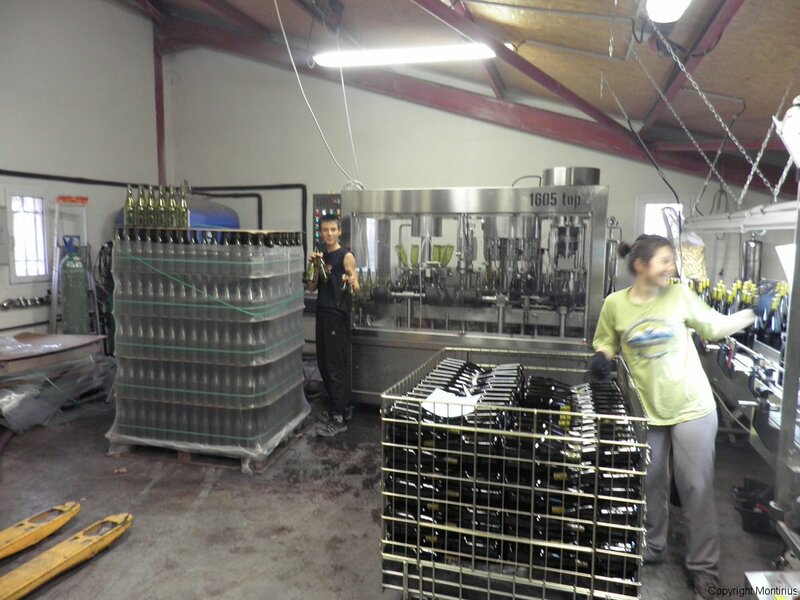 Eric and Justine do the bottling in the winery which is kept at a constant temperature. 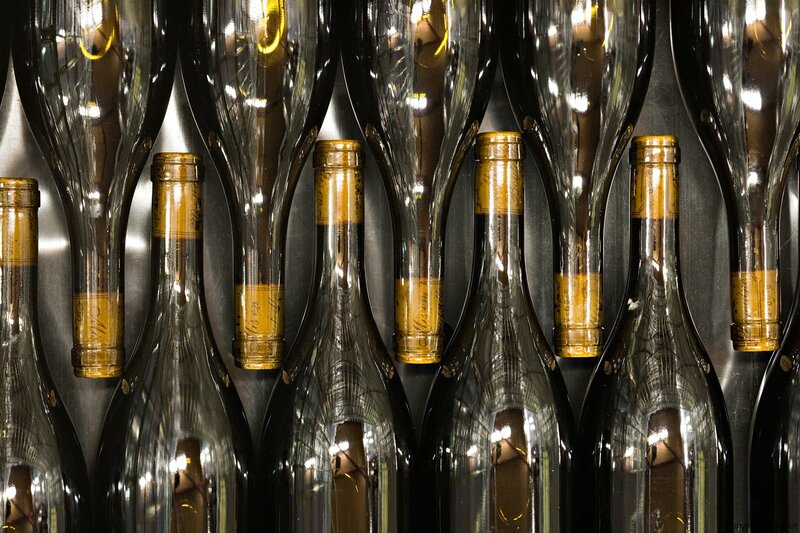 Once the bottles are filled and corked with the natural cork, the bottle stays in a vertical position for 7 minutes before being laid down to continue its maturing. 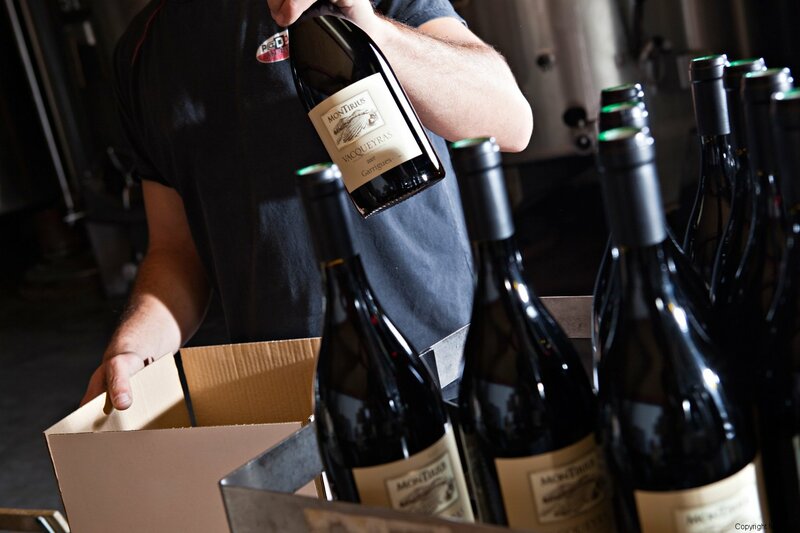 Our white and red wines are both matured in dark glass bottles for a minimum of 6 months. Our white wines are bottled in dark glass bottles so as to avoid the taste of light in the wine. 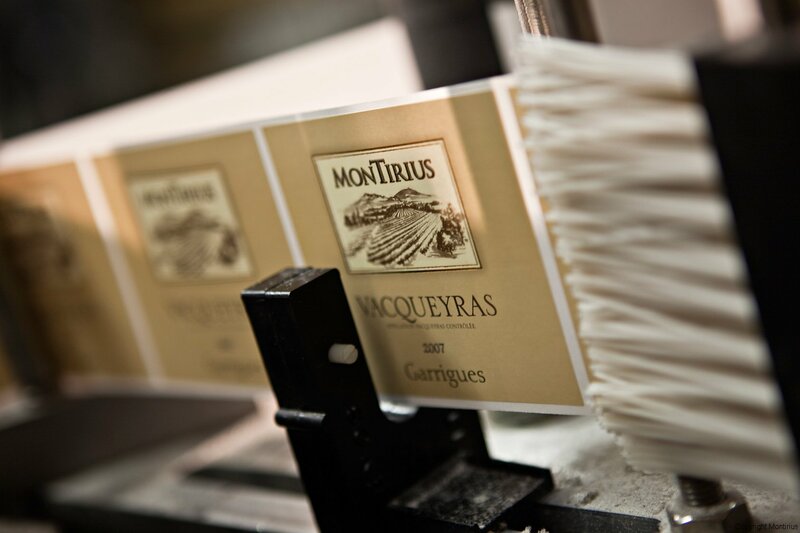 When the time comes to label the bottles and box them for dispatching, each bottle is cleaned with a lint free cloth, on a well-lit table so as to verify the level of wine in each bottle and the quality of corking (to eliminate seeping).